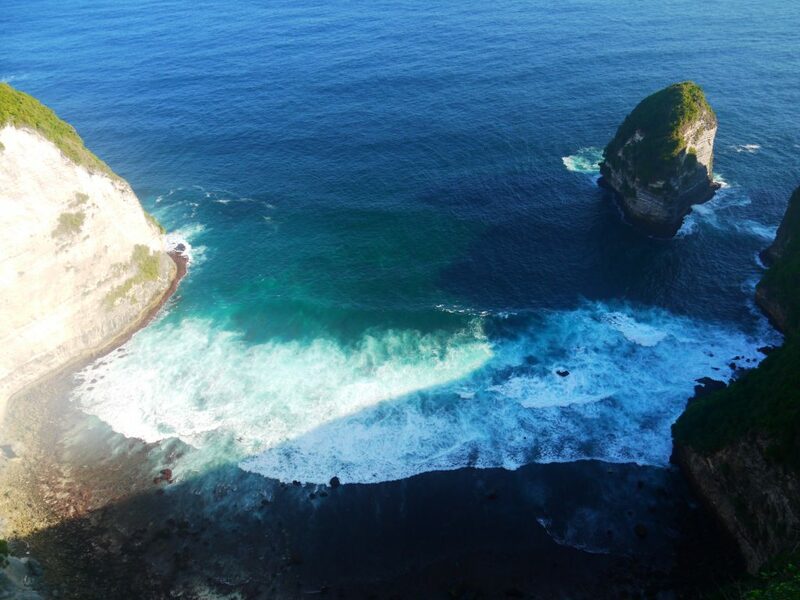 Are you ready for the best things to do Nusa Penida island. 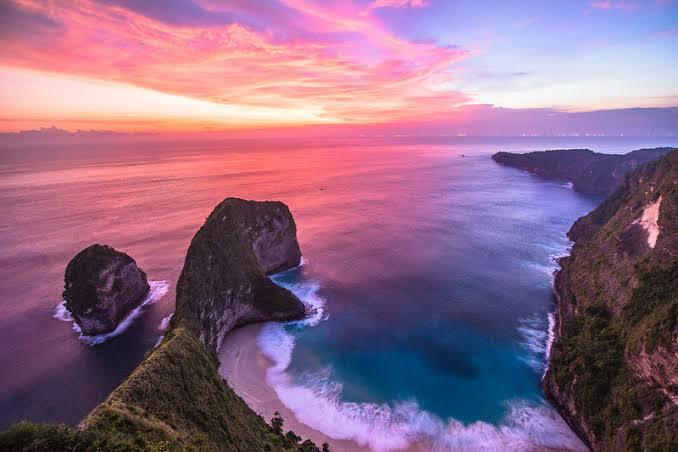 Nusa Penida is the largest of the amazing three Nusa Islands which are situated close to mainland Bali, making it easy enough to visit for a day trip. The islands are made up of the three Nusa Penida, Nusa Lembongan and Nusa Ceningan. 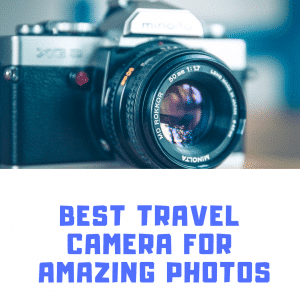 They all provide epic things to do and amazing landscape to view. We will look how to get from Bali to Nusa Penida island. If you are looking for the Nusa Penida points of interest, you have come to the right place. There are plenty of epic things to see on Nusa Penida island and some of the typical tourist spots will blow your mind. 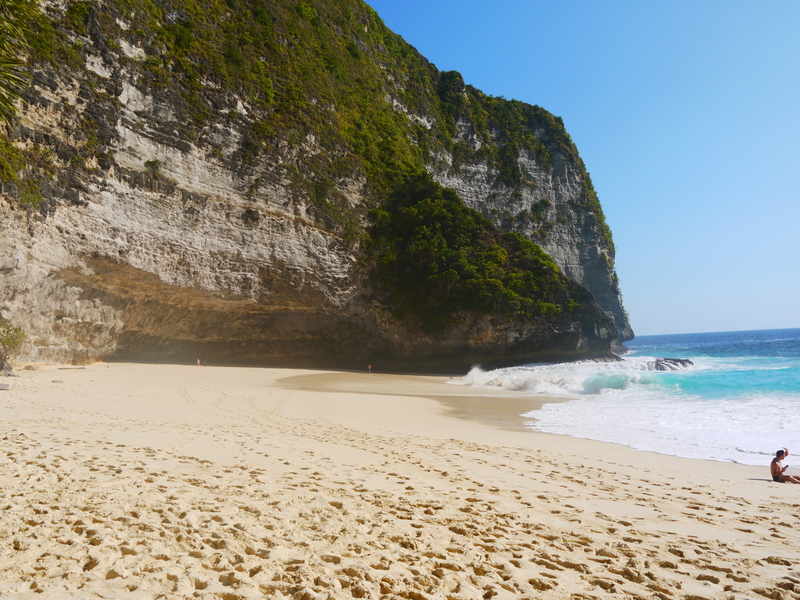 Kelingking secret point beach is unbelievably stunning and the other beaches on Nusa Penida are amazing. You can also get the chance to see Seganing waterfall, Atuh beach, broken beach and the cool Angle’s Billabong. A 3 or 4 night stay on Nusa Penida island is just right to see everything this amazing island has to offer. When you arrive the island you will be offered scooters straight away. I was like WOW as there are so many locals screaming “scooter scooter” but it’s the norm. We took one up and there offer and got a great deal after a little bartering and got the scooter for 60,000 Rupiah a day which is like $4 a day. This also amazingly enough comes with a full tank of gas and when the gas runs out it only costs you $1 to fill the whole tank back up. Bargain.This is the best way to get around the island. 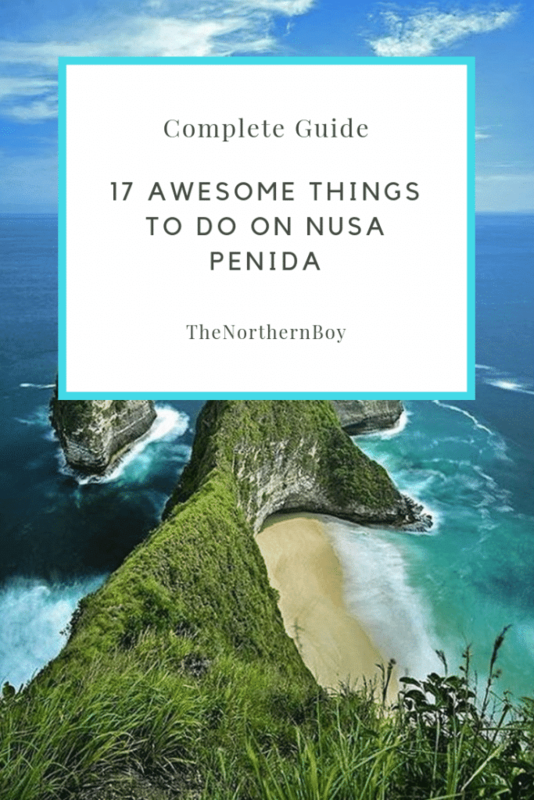 Can you stay on Nusa Penida? 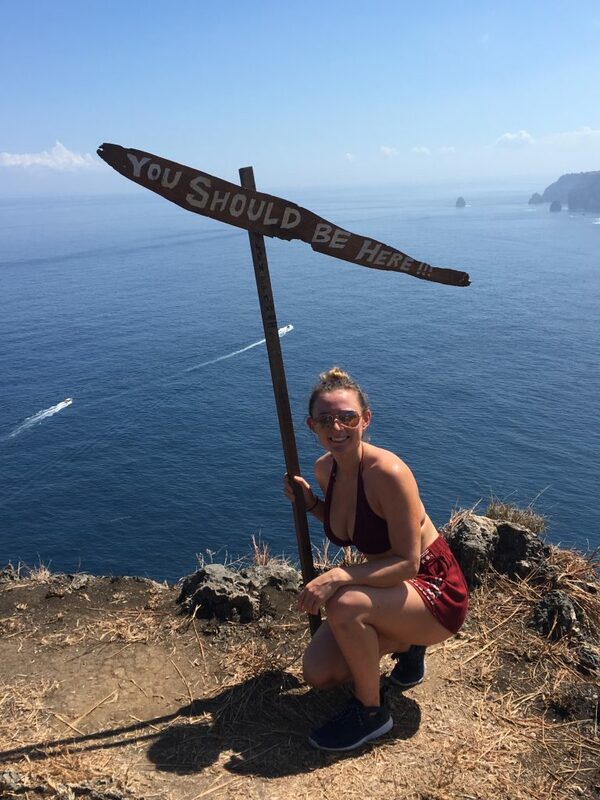 Yes, the island is now aimed towards tourism and the island it becoming more popular for backpackers due to its amazing scenery and epic accommodation. 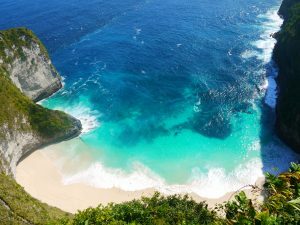 How to get to from Bali to Nusa Penida? I travelled from Mainland Bali to Nusa Penida and paid for each part of the journey separately. After arriving in Seminyak from England, we decided to just stay here for one night and then head straight to Nusa Penida from Seminyak. We used one of the local stands on the street to book the boat ride towards Nusa Penida. You may be a little sceptical about these salesmen stood in huts on the street, but ours was fine. You should’nt have any trouble. The first payment got me a taxi from my hotel to the boat and then the boat to Lembongan and this cost just 300,000 Rupiah per person which is roughly $22. Then from Nusa Lembongan to Nusa Penida there is a private hire boat which cost just 50,000 Rupiah per person roughly $4. I took this journey as I was staying in Nusa Penida for close to a week. However, you can make a visit from mainland Bali for a Nusa Penida one day tour which you can get for 330,000 Rupiah which is roughly $24. 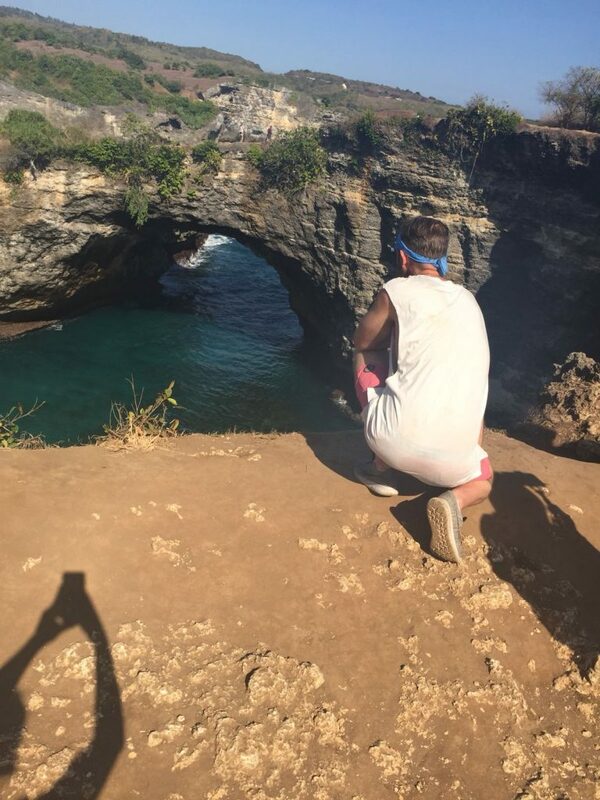 Top Tip – Nusa Penida is a fantastic island to visit even if it’s just for the day, however if you can try and visit and stay for a few nights, that way you cant take in the breathtaking spots, enjoy the culture of the island and get a feel for the way of life on there. You will not regret it. Nusa Penida is the biggest out of the 3 Nusa islands, so it can take a while to get from one side to the other. If you are doing the Nusa Penida island tour they will arrange transport. 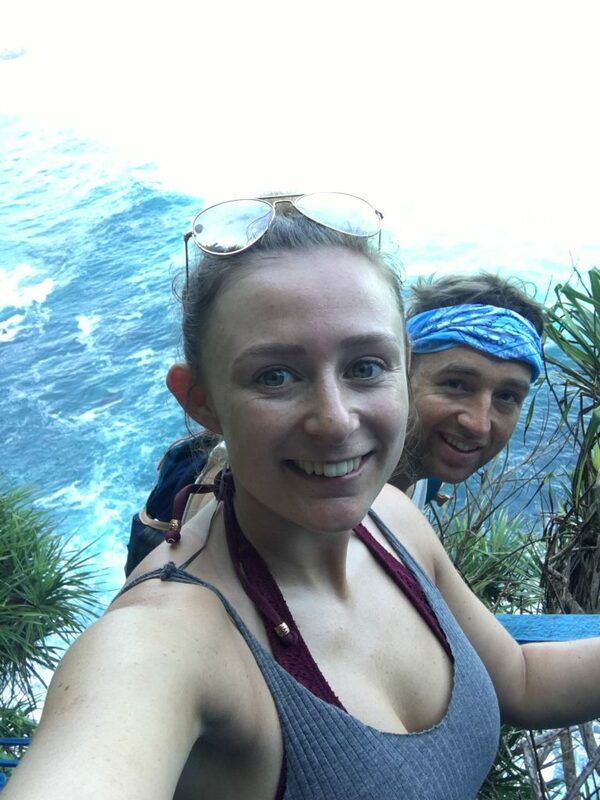 Renting a scooter on Nusa Penida – If you’re looking for an adventurous ride, then you should definitely opt for renting a bike. This is definitely the best way to get around Nusa Penida. This costs around IDR 50,000 and is easily rentable straight from the harbor. However, be careful as roads in Nusa Penida are narrow and can get pretty crazy in places. But you’ll be all good if you take your time. This was the top thing on our Nusa Penida island bucket list and it was the first epic place we visit. 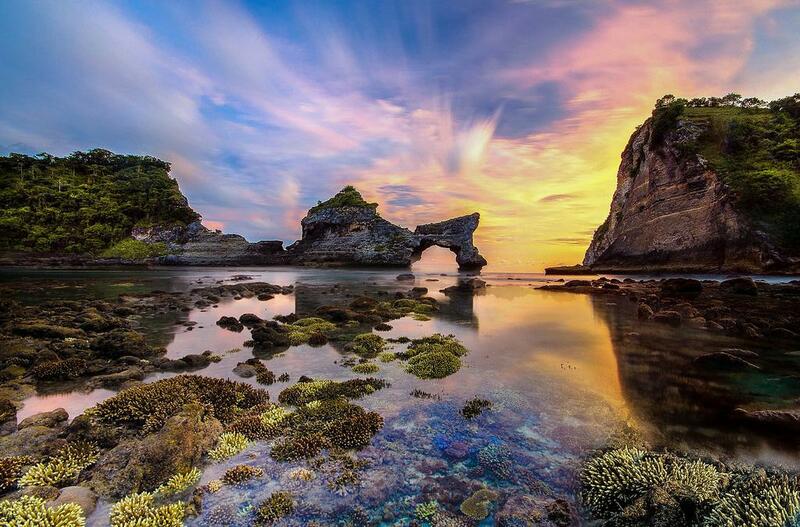 Kelingking beach is a truly spectacular location and a must visit all those lucky enough to call at Nusa Penida. However, getting down to the actual beach is not for the fainthearted due to the steep climb from the top of the cliff to the bottom. This is the best Nusa Penida beach hands downs. And if you are looking what to do on Nusa Penida, this should be top of your list. 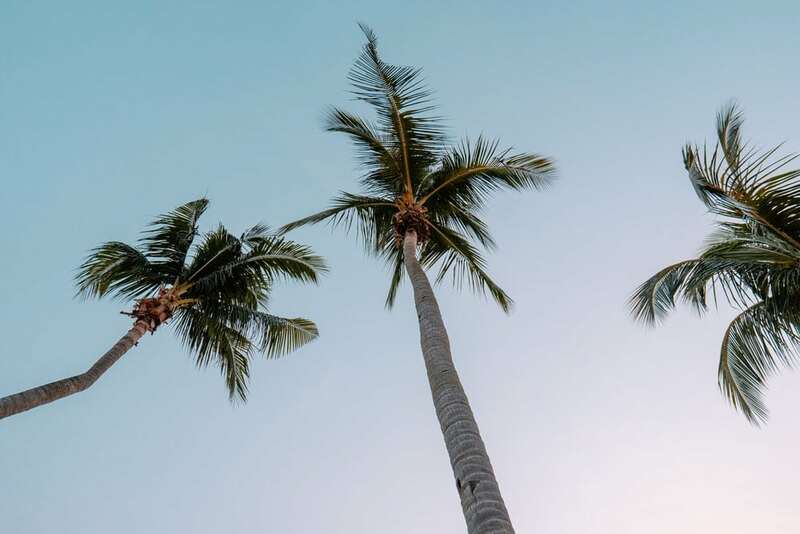 For those who dare to climb down the Kelingking cliff will be rewarded with a white sanded beach, blue rolling sea and tropical palm trees. It’s like being on a film set, like something from the great movie Castaway that starred Tom Hanks when he gets marooned on his own on island. It gets hot down there and luckily enough there are fantastic locals selling coconuts and drinks for as little as $2. Perfect. Enjoy the climb back up! A much as the beach is an amazing spot to visit, the Kelingking cliff edge viewpoints also offers a unique overview of this super cool location. However, the cliffs are high so take ultra care when trekking along the top and watch every step you take. Also, a great time to visit is when the sun is dropping, you can really take advantage of the red sky lighting up Kelingking beach. Visiting Kelingking beach on Nusa Penida would be great to visit either early morning or later on in the day if you are not the biggest fan of crowds. The crowds during the noon and later on can get very busy and people rushing about to take their amazing photos. A mega location for bringing out the spiritual side in you. 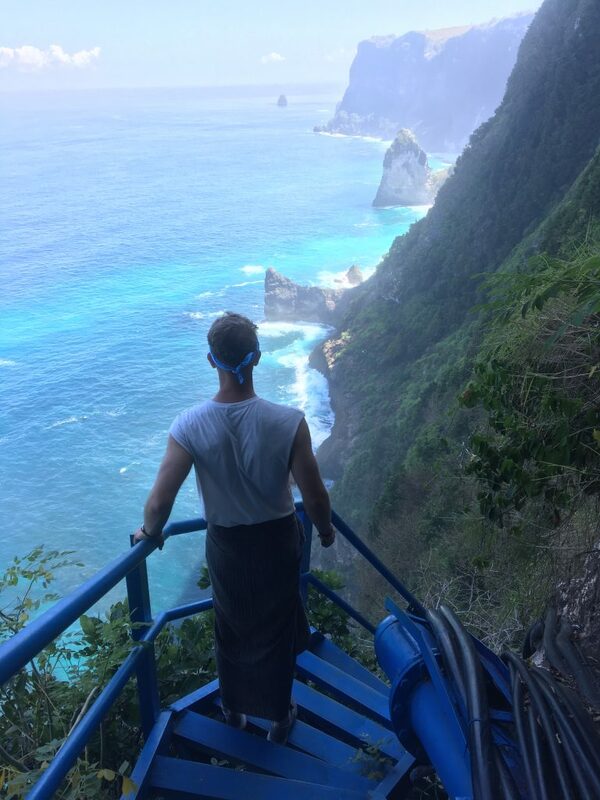 This top waterfall on Nusa Penida is reached by trekking down a few hundred steps to where the cliff meets the sea. The Peguyangan waterfall climb takes about 20/25 minutes and is great way for a cardio workout as it will certainly burn a few calories, winner. Guys, you have to wear a sarong as a sacred temple waits at the bottom, don’t worry these can be hired at the top for 5000 Rupiah and it’s cool for a lad to wear these considering the setting. You should visit here on your Nusa Penida tour. At the bottom there was locals praying and washing in the spiritual water coming through the statues and out the waterfalls. They encourage you to get involved with trying out the water over the head to cleanse your soul, fun and worth a try. 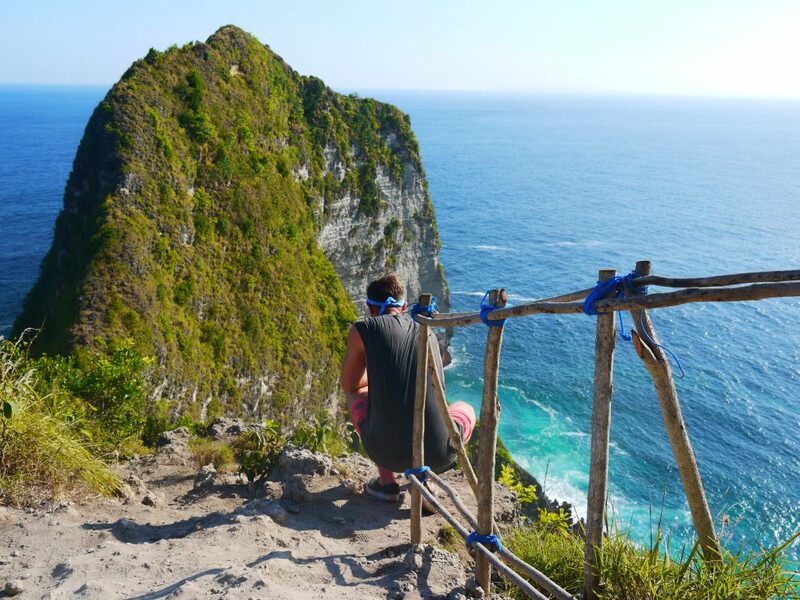 Manta view-point gives you one of the best locations on the Nusa Penida island for views. We where stunned at this sweet spot and also had the full cliff top to ourselves. The Manta View-point is a 5 minute ride from the Peguyangan waterfall so it is worth visiting them both together, also there is no fee at all to pay for parking when visiting Manta View-point. Another great find by us was this Nusa Penida temple next to the Manta View point, the temple is stunning architecture and we couldn’t believe we also had this to ourselves, not one visitor, prayer or worker insight. Perfect. Upon arrival crystal bay beach is not as spectacular as other beaches on Nusa Penida island, however it is still worth a visit to enjoy a relaxing few hours on the coast line. One thing to keep mind is how close tide comes in, we set up for the day but had to move several times. Also, the beds are roughly 100,000 Rupiah which I thought was expensive. So take your own towel and save yourself some money. 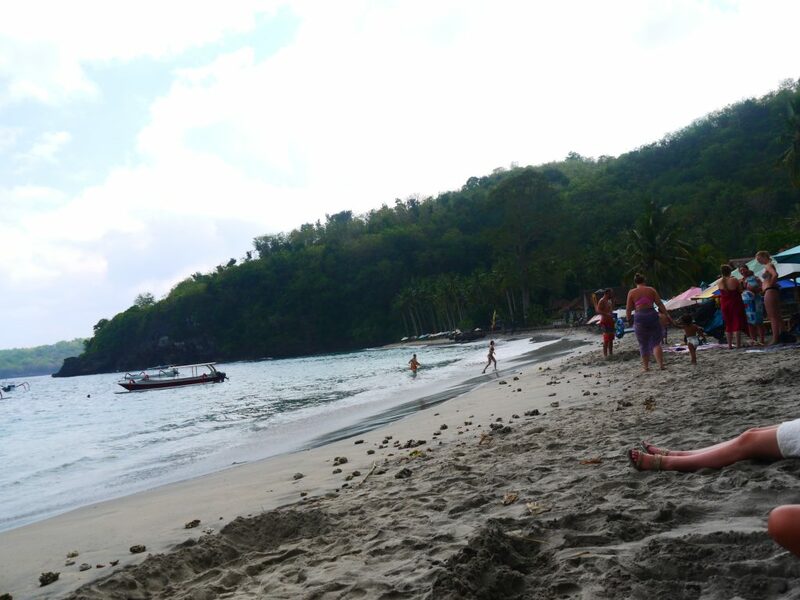 The best thing about crystal beach is the secret beach we found from climbing up the hill ad trekking for 10 minutes. 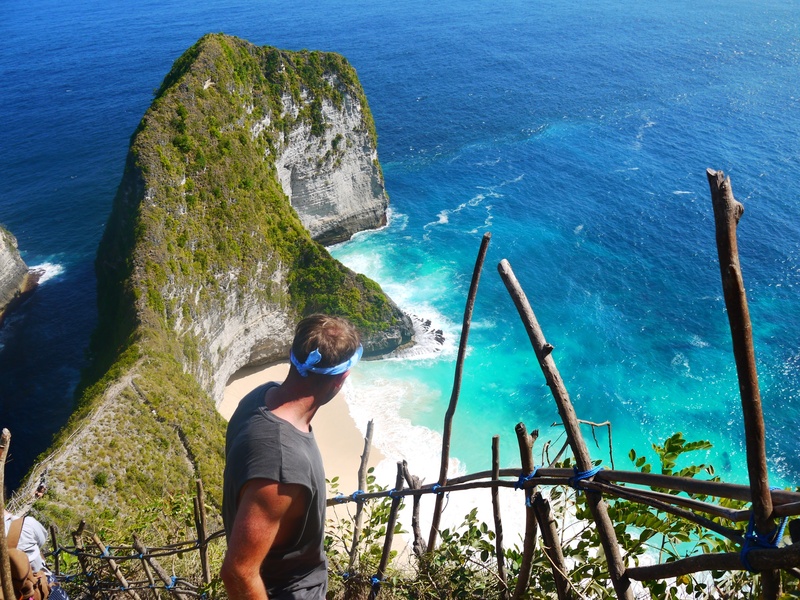 This trek takes you too a stunning little secret beach on Nusa Penida. 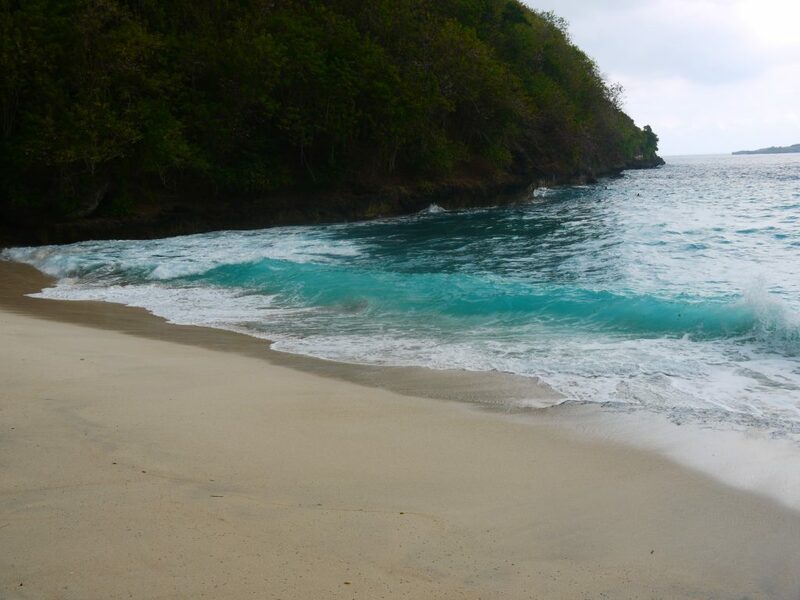 we named it the secret beach on Nusa Penida as we found it and doesn’t have a name, it is a true hidden gem. The secretary beach is roughly 80 metres long of white sand and no one around, you will most likely have this beauty spot to yourself. There is also a cool hut sort of thing that has been built, it looks like someone has got stranded here and built a makeshift home that provides shade from the hotbed rays of the sun. Due to it’s location there isn’t any drinks or snacks available for purchase, so I would take a bottle of water and some fruit. 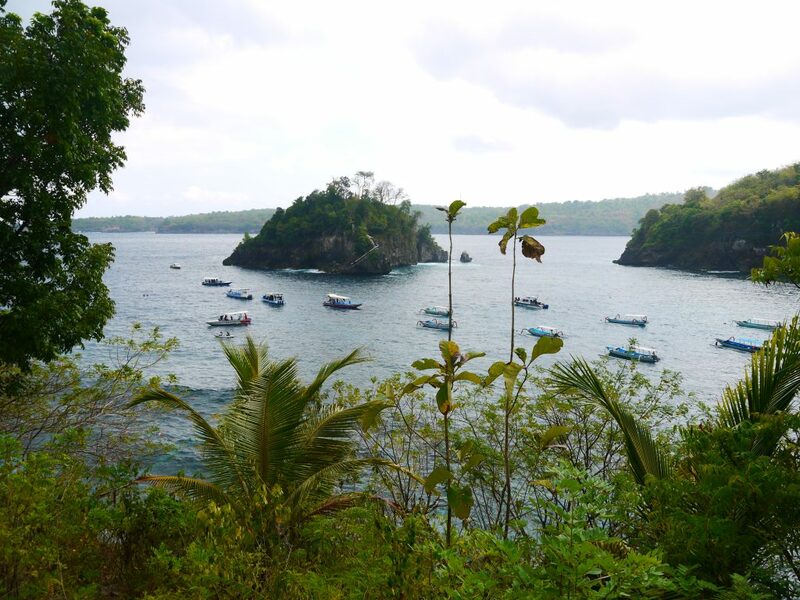 The Nusa Penida Angel’s Billabong a truly remarkable location that attracts lots of eager visitors all-day-long. The area is a crystal clear rockery that is surrounded by around 8 metre high cliffs usually filled with stand in photographers taking pics of those floating in the rockery. It is a truly spectacle and one of the best things to do Nusa Penida of the island. However, a word of warning the formation is similar to an infinity pool and gets very dangerous near the edge when the tide is in. It is know that people have died in the past on Angel’s Billabong getting to close to edge and being pulled over from the tide. Nevertheless, don’t let the warning put you off as it is truly brilliant and makes for some epic pictures. A 2 minute walk from Angel’s Billabong is Broken beach Nusa Penida which is up there for one of my favourite locations on the island due to its stunning vast open area, blue waters and the broken up cliff allowing the ocean to creep in to the beach below. The formation of the cliff is in a spectacular circle allowing visitors to get a 360 degree view of the beach underneath. Take great care near the edge as there are no railings and it is a high drop! 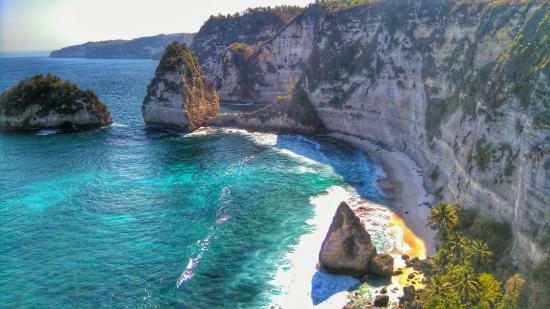 You will apreciate that this is one of the best beaches on Nusa Penida. We walked the full circle, grabbed some great photos of the amazing views and then found some soft grass to watch the sun go down over the Broken Beach. Also, there are a few stalls selling refreshing drinks, beers and snacks. 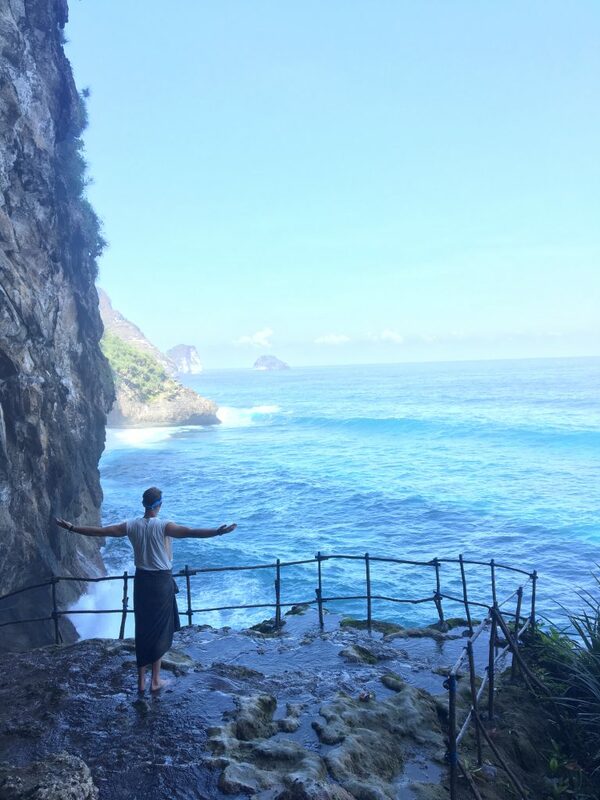 Like some of the other top things to see on Nusa Penid, Atuh Beach Nusa Penida is reached through remarkable spiritual villages. Atuh Beach is a very memorable beach due to the sweet formation of rocks, white sands and cliffs, like something from a typical Thailand paradise picture. 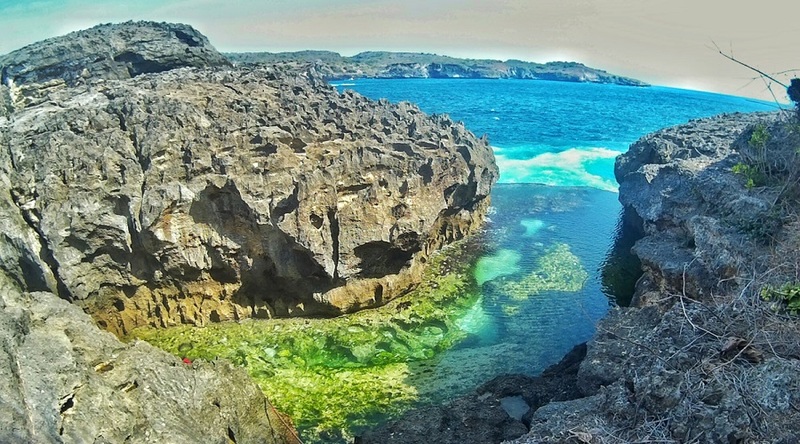 The awesome island Nusa Lembongan is one of the the three epic islands including Nusa Penida. If you are visiting Nusa Penida, I would highly recommend staying overnight at Nusa Lembongan. 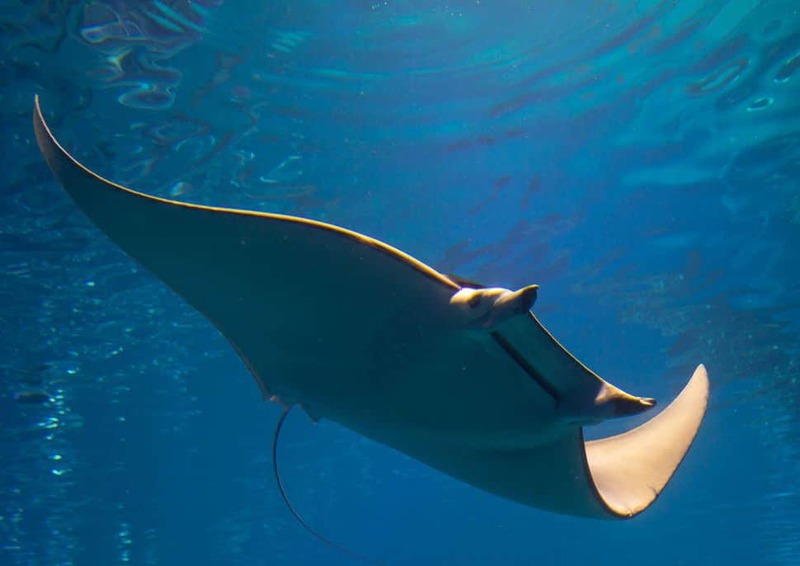 You can also check out the Manta ray snorkelling here on this amazing island. You can expect to find cheap places to stay here along with cheap food. You could also go a little more higher class in the hotels if you are on a more luxury holiday. This epic Giri putri cave on Nusa Penida is Definitely worth a visit. 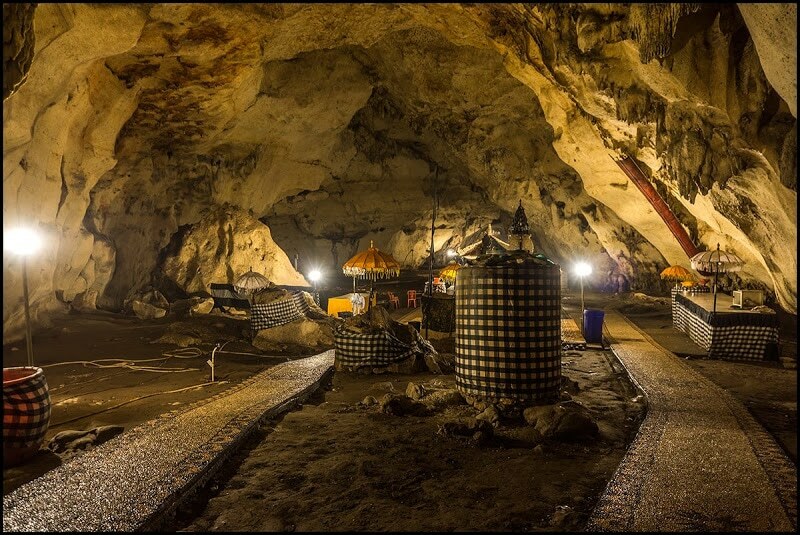 A sarong is needed to enter the cave, but you can pick one up for 10,000 rupiah each. You will make your way up some temple upstairs when you enter this cool cave. You will then probably be blessed by a local man, by a blessing I mean he will be throwing water on you. Don’t estimate the size from what you see when you entering the cave. It’s surprisingly a big cave. I think we reached towards the end of prayers. You should find out from a local the time of the ceremonies that happen there. This would be pretty cool to watch. This is a cool little beach if you are looking for a beach with a little difference. It’s a good spot for checking out some local boats and catching a tan while you lay back and enjoy the hot sun. You can take a local fishing boat from crystal bay to Manta Bay a short 10 minute boat ride to swim with the amazing Manta Rays is incredible to see these huge gentle giants so close. Snorkelling in Manta Bay is okay for children, very safe. You can enjoy freshly caught fish on the beach cooked by the locals if you get hungry. It’s untouched and very natural so don’t expect flash dining here it’s simple and beautiful. Scuba Diving is popular also at Crystal Bay and a lot of visitors to the three islands often try out the scuba diving. 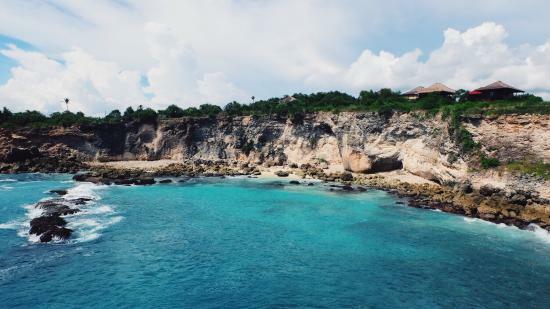 Nusa Ceningan is a epic small island located between Nusa Lembongan and Nusa Penida. 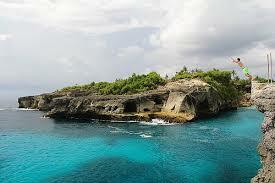 If you are visiting Nusa Penida and Nusa Lembongan, then you have to take the time out to visit Nusa Ceningan. Do you to visit Bali and try surfing? 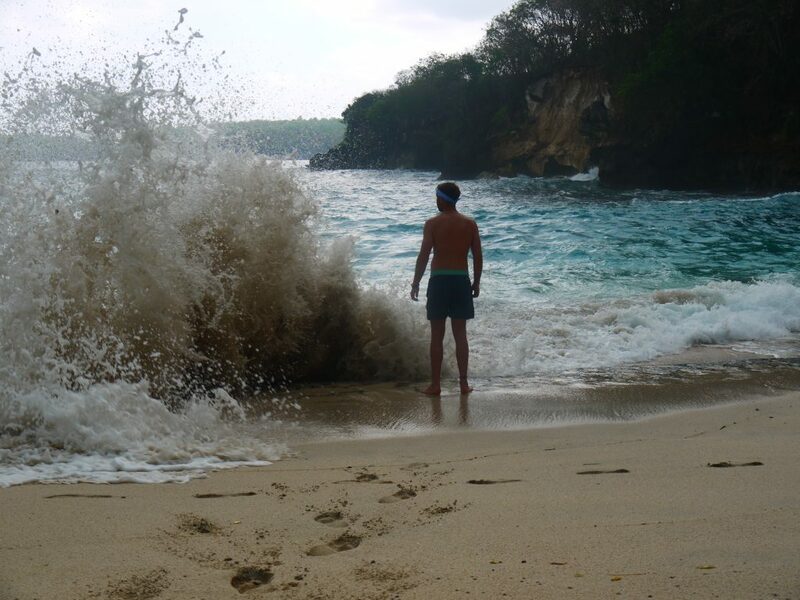 Then Nusa Ceningan is a good choice for hitting some waves. The island offers some stunning scenic roads and paths. You definitely hire a scooter on Nusa ceningan, this is the best way to get round the island. Viewing the sunset over Bali from the central Ceningan ridge is one of the sweeetest things you can do on the island. 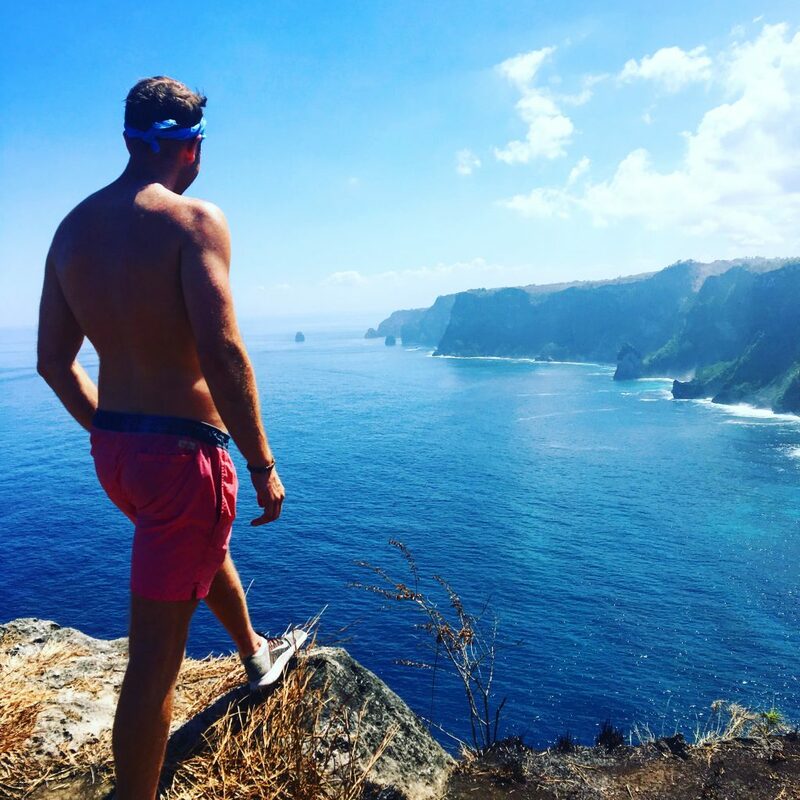 Another sweet place to check out on the island is the Mahana cliff jump. This is located on the south easterly side of Nusa Ceningan at Mahana Point Bar. The bar manages two diving platforms at 5 and 13 meters. However you should know that jumping is only permitted when the tide is high enough. 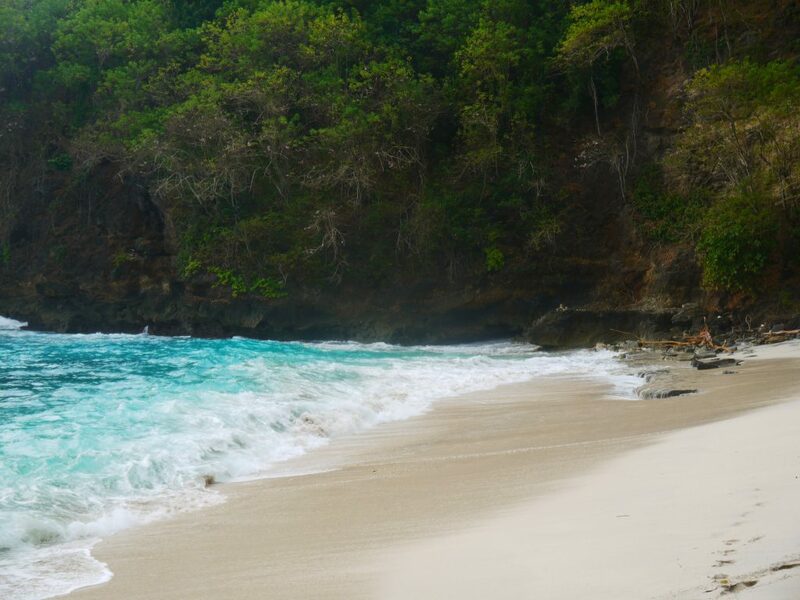 This epic beach near Atuh beach is one of the best beaches on Nusa Penida – Diamond beach. You should check out this top beach fora sweet Instagram photo. The new diamond beach stairs now means you can access the beach easily. Looking for one of the sweetest hidden-secrets on Nusa Penida island? Then you to visit the Tembeling natural pool. How to get to the Tembeling natural pool? You can only access the Tembeling forest by scooter on the westside of Nusa Penida. There is plenty of sweet hotels and places to stay on Nusa Penida. But not many will be better than the Rumah Pohon treehouse. This unbelievable accommodation is located in one of the sweetest places on this magical Bali island. 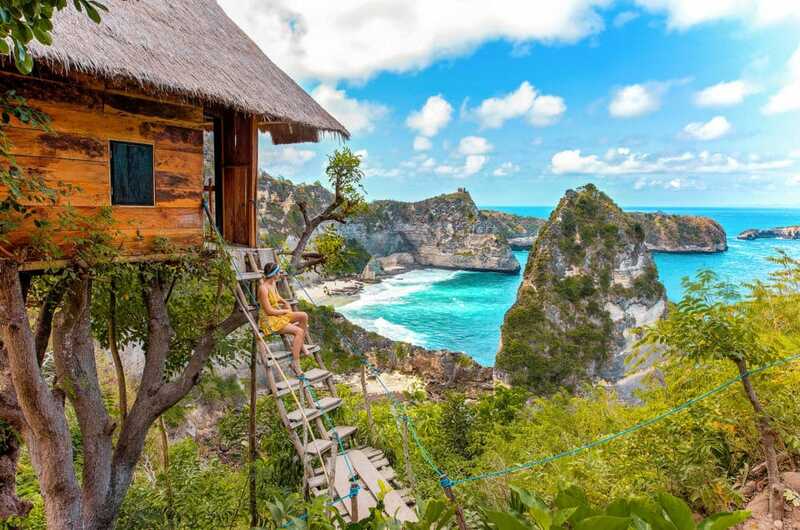 The Nusa Penida treehouse (Rumah Pohoon) is an ideal luxury place to stay If you’re looking for a magical setting. Staying at the Rumah Pohon treehouse, you will have the opportuninty to sleep in the trees in a quirky room. Whilst the sun drops into the horizon in front of your eyes. Where to stay on Nusa Penida island? Nusa Penida is still a developing island, but it is developing rapidly. We was backpacking Nusa Penida on a very low budget, so we was happy to stay in the cheap accommodation on Nusa Penida. However, there is a few luxury hotels on Nusa Penida if you are just visiting this epic island on a more luxurious holiday. 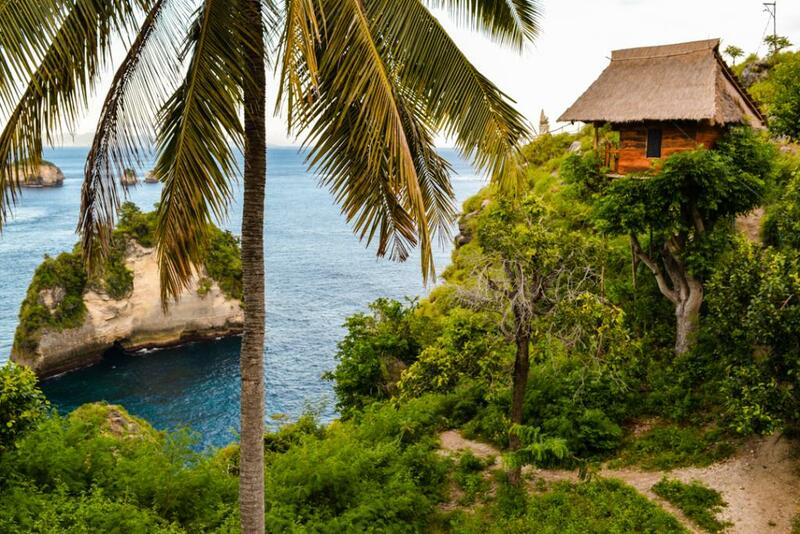 By far the coolest place you stay is the Nusa Penida treehouse on this amazing island. This epic treehouse near Atuh beach has one of the best sunsets in Nusa Penida and Bali. La Roja Bungalows – The Nusa Penida Bungalows are fairly new built. You will find a really cool atmosphere here and everyone is very friendly. This accomodation on Nusa Penida is quite basic but this is all you need when you’re on a backpacking adventure. The rooms are clean, have plenty of plug sockets to charge your laptops and phoned etc. You will be pleased to know there is decent WiFi, and a comfortable bed with a decent water pressure shower. Breakfast is the usual toast/fruit/eggs choices but what was served to us was nice and was more than enough to start the day. There’s drinks available at a reasonable price in the evening and some decent restaurants on the road for you to checkout. Overall this is a great place to stay for backpackers on Nusa Penida. Penida Bay Village – This top places to stay is located near the Crystal Bay beach and Gamat Bay. 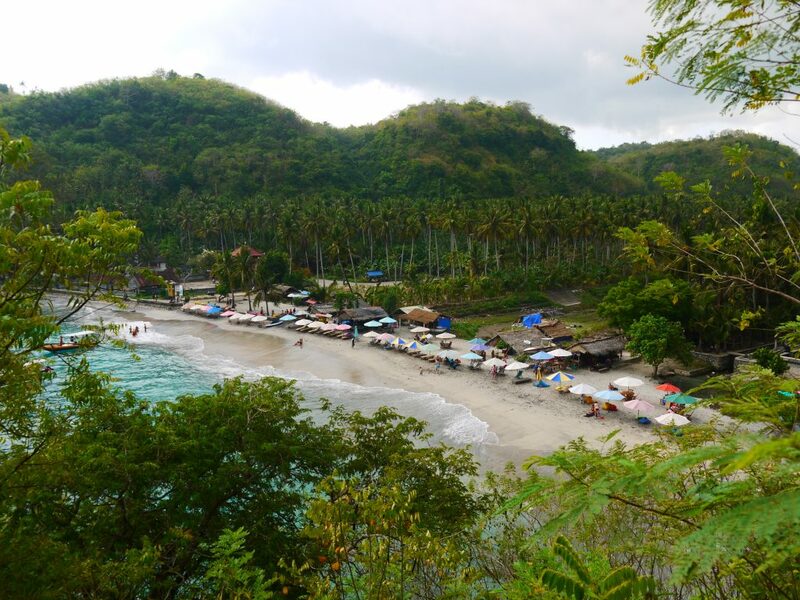 You will also find it easy to get to Kelingking beach from here. There is also a restaurant here for you to enjoy, also dry cleaning is offered. There is WiFi, good showers, free toiletries (backpackers essentials) and free water. This accommodation is in a perfect location. Batang Golden Hills Villa – These top Nusa Penida villas are brilliant. They are fairly newly built, but they are soon becoming one of this best places to stay on this epic island! There are only 2 villas now and they are wonderful! Super big and clean. You get towels and soap and even a welcome drink on your arrival here. The staff are very welcoming and friendly. They will take the timeout to have a chat with you and answer any questions you may have. You can get yourself some food here and to be fair it is quite cheap. These villas are located on the quiter east side of Nusa Penida. Sunset Hills Cottage – This epic place to stay offer crazily stunning views. The rooms are very spacious and offer a large comfortable bed. The rooms are kept very clean and are well looked after. There is everyhting you need here. 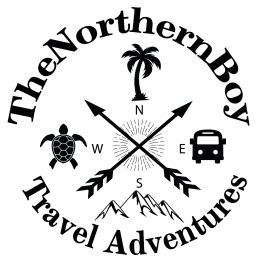 The staff and the owner are awesome and will answer any questions you may have about Nusa Penida, such as the best things to do Nusa Penida. As you can see from this blog post, there is plenty of epic things to do on Nusa Penida for everyone. 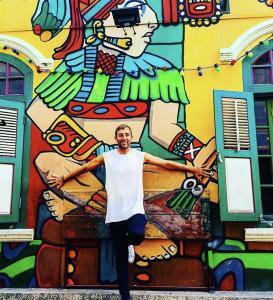 We had an amazing time and cannot wait to go back and visit this amazing island again. 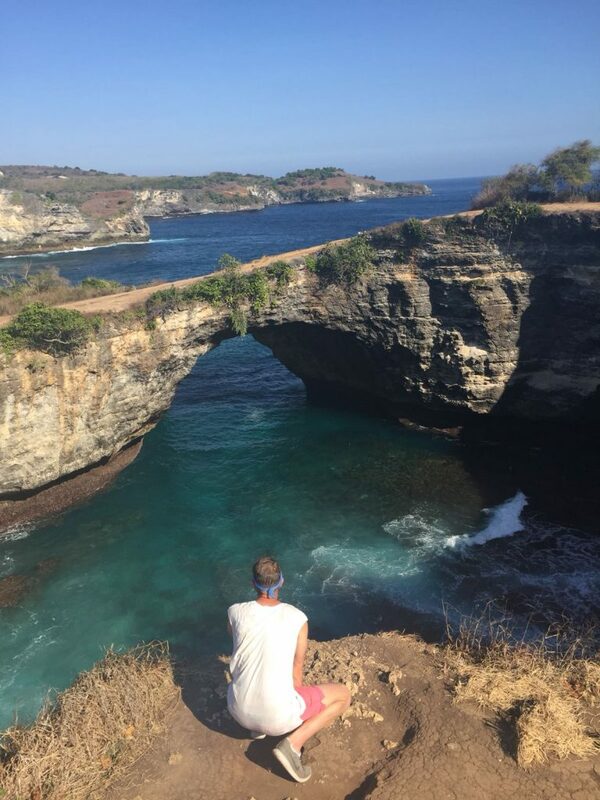 You should check out the Nusa Penida island tour if you want to visit this Nusa Island for a day. You can also check out Nusa Dua and other amazing islands in Bali. If you are staying in mainland Bali, I would highly recommend trying out the 1 or 2 night Bali to Nusa Penida tour if you are stuck for time. Nusa Penida island was the best place we visited in Bali.